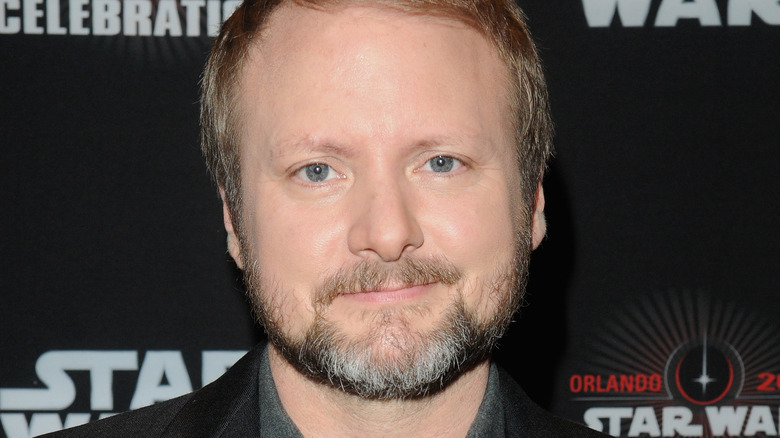 Whatever Rian Johnson did with Star Wars: The Last Jedi, he obviously impressed the bosses. According to the official Star Wars website, Disney and Lucasfilm have hired Johnson to write and direct a new trilogy of Star Wars movies that will be set in a corner of the galaxy that we've never seen before. Although the trilogy will be a part of the Star Wars brand, it'll feature an entirely new story and original characters. Johnson will team with his longtime collaborator Ram Bergman, who produced Johnson's flicks Looper and Brick. Disney chief Bob Iger unveiled the plan to analysts during the company's call to discuss earnings in 2017. The news comes the same year that Lucasfilm replaced two prominent directors for future projects. Phil Lord and Chris Miller (The LEGO Movie) were in the middle of directing Solo: A Star Wars Story when Lucasfilm replaced them with Ron Howard, and Colin Trevorrow (Jurassic World) was supposed to helm the upcoming Star Wars: Episode IX, but he was let go a few months ago. The Force Awakens director J.J. Abrams was brought in. But Johnson proved to be a hit with just about everyone involved with The Last Jedi, and the cast gave him high praise during last spring's Star Wars Celebration. He's the only writer credited for The Last Jedi, and that's the first time that's happened with a Star Wars movie since creator George Lucas did it with the prequels. "We all loved working with Rian on The Last Jedi," said Lucasfilm president Kathleen Kennedy. "He's a creative force, and watching him craft The Last Jedi from start to finish was one of the great joys of my career. Rian will do amazing things with the blank canvas of this new trilogy." There are no release dates for the new trilogy yet, but we'll keep you posted.